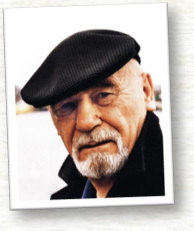 Brian Jacques, author of the Redwall series, died of a heart attack on Feb. 5, 2011. He was 71 years old. He is survived by his wife, two sons, and one granddaughter. Jacques was born June 15, 1939 in Liverpool, England. At age 10, upon completing an assignment to write a story about animals, he was accused of lying about the origin of the story by a teacher who couldn't believe a 10-year-old would write that well.